This week, a big donation for @ArlieShaban, a poker checklist from @winopoker and SHOTS at table @Patrik_Antonius! 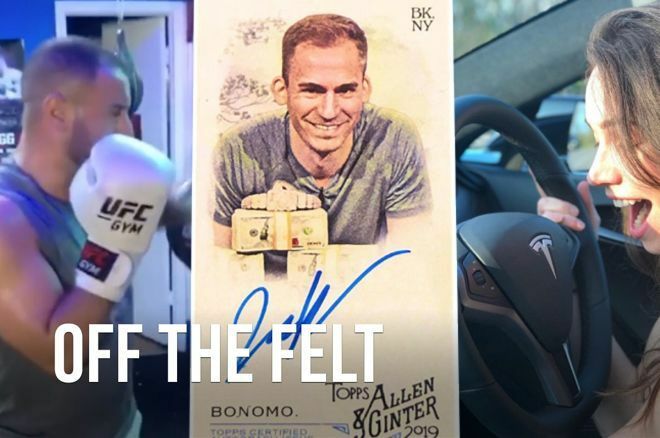 In the previous edition of Off the Felt, we saw some photos of players enjoying Rio de Janeiro and some other places in the world, plus some of the most interesting tweets from the week. This week, we have a sampling of the best poker posts, including a tell-tale sign that the Mercier family is missing poker and an interesting milestone for Justin Bonomo. The best tweet of the week was made by Natasha Mercier, who provided some video proof that the parents may be going through some poker withdrawal.